Site Name: Every site is required to have a name, although this can easily be changed at any time. Private: Shows in the Affiliate Portal of any affiliates that have a campaign for that offer. Only an admin user can create a campaign for a private offer. Apply to Run: Shows in the Affiliate Portal. Affiliates can apply to run these offers, but an admin user must approve the campaign before the affiliate has access to the links, creatives, etc. Inactive: Affiliates do not have access to an inactive offer. Affiliates with no campaign for this offer will not see it in their Affiliate Portal. Affiliates that have a campaign will see the offer, but will not be able to access the Campaign card. CPA (Cost Per Acquisition): Pays per conversion whether it is a lead, sale, download, installation or any other post-click action. CPC (Cost Per Click): Pays per unique click and does not allow for a conversion/install pixel, but instead counts conversions upon every successful redirect to the offer link. 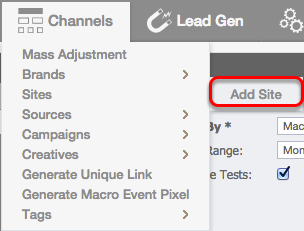 If you would like to track user acquisition after the initial click, you will need to utilize the Events feature. CPM (Cost Per Mile): Pays on an impression basis, specifically per 1,000 unique impressions. 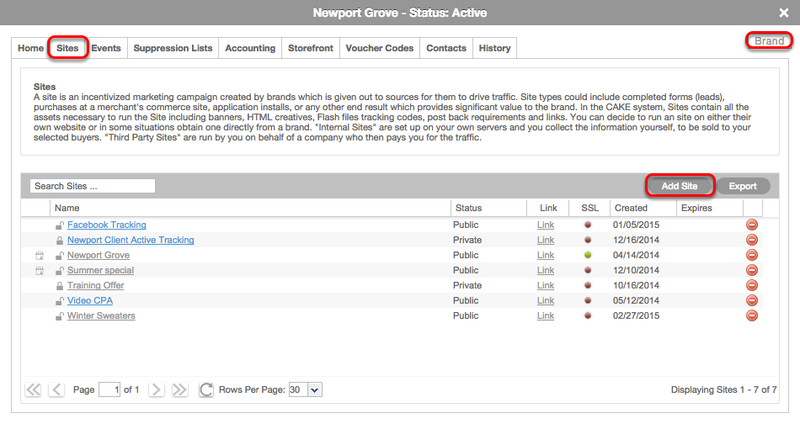 For a third party offer, CPM only looks at impressions and does not allow for tracking any additional actions or events. For a hosted or host and post offer, CPM bases revenue on lead sale and allows for an impression-based cost and lead-sale based revenue. Fixed: Pays a set amount upon the first conversion following a set start date and divides the set cost across all tracked conversions until a new fixed start date is entered. Revshare (Revenue Share): Pays a percentage of the Advertiser's revenue. An additional parameter is added to the conversion pixel for price (p=) and payout is calculated as a percentage of that value. 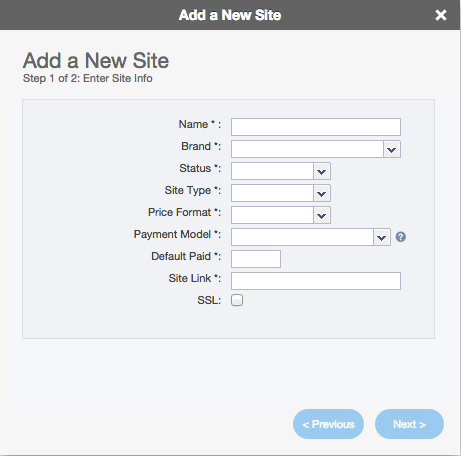 Payment Model: This allows you to apply a payment attribution for this model. The rules set in the model definite how publisher/affiliates are paid out. First Touch: The source that drove the first click in the session will get credit for the conversion. Last Touch: The source that drove the last click in the session will get credit for the conversion. Default Paid: The amount you are paying out to any 3rd party source per each conversion. Site Link: Landing page URL that acts as redirect destination for any clicks sent to that site and can be tokenized to pass dynamic values (like Sub ID or offer ID in the event you're using a dynamic offer pixel). Make the pixel secure by modifying the generated conversion pixel format to begin with "https". Force a redirect through a secure version of the tracking link to ensure that the user is able to view a page with an SSL certificate installed.